Cindy came to me after reaching a plateau in her fat loss. 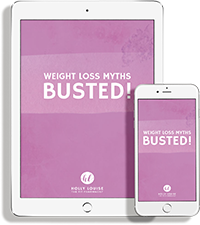 She had completed several “weight loss challenges” but like many other women, she would rebound afterwards because her diet was not sustainable, gaining back the weight she had lost. Not to mention, these challenges didn’t really teach her anything about nutrition and she didn’t understand how to structure her nutrition for her goals or how fuel her body properly for her intense training. She was still very much so stuck in the “good” foods and “bad foods” mindset too which was making things more difficult for her. I was so excited to introduce Cindy to flexible dieting and help her achieve her goals using my Fit & Flexible system. In our first week together, Cindy dropped close to 3kg of weight – a lot of it being from fluid retention and bloating – by actually eating MORE food and MORE calories. Needless to say that Cindy was a very happy girl that her fat loss was reignited again! To date, Cindy has lost 6kg (and 20kg in total! 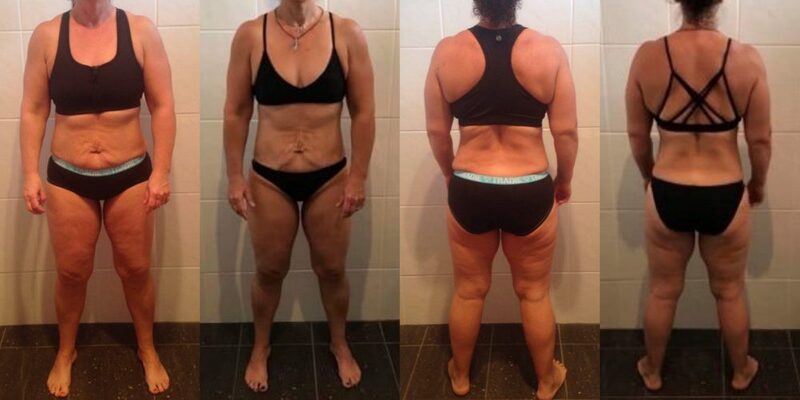 ), 5% body fat and a massive 43.5cm from several sites of her body using my Fit & Flexible system! But most importantly, she has gained a WHOLE lot of self-confidence (you should check out her selfies haha) and has a much better relationship with food. She has now also got her daughter onto the system to pass on her new healthy habits! “Hi my name is Cindy and I am 43 years old with 3 kids and a husband. I work as a nurse and do shift work. I decided along with my husband in January last year that I wanted to be healthy, fit and happy!! I met Holly at a seminar and I knew she was going to be my mentor! I loved how she was so genuine and so down to earth! I followed her on Instagram and also joined her Fitfam group on Facebook. It was great to be part of her group with like minded positive women. I started Holly’s Fit & Flexible system when I was at a standstill with my weight loss. As soon as I started I shifted over 3kgs in a week and wow that was an amazing feeling!!! I have lost a total of 20kg now and I am fitting into smaller clothes than I ever have before. I could not be more proud of Cindy and being part of her health and fitness journey has been an absolute privilege. Cindy now has the knowledge and confidence to track her food and make adjustments where needed all by herself. She is educated, she is empowered and she is unstoppable! So, if you’re sick of following restrictive diets and not getting results, or you are simply looking to find a better balance or relationship with food, check out my Fit & Flexible E-Book! It contains everything you need to know about transitioning to a flexible dieting approach, how to seamlessly fit it into your lifestyle and how to continue to get results and most importantly – keep them!